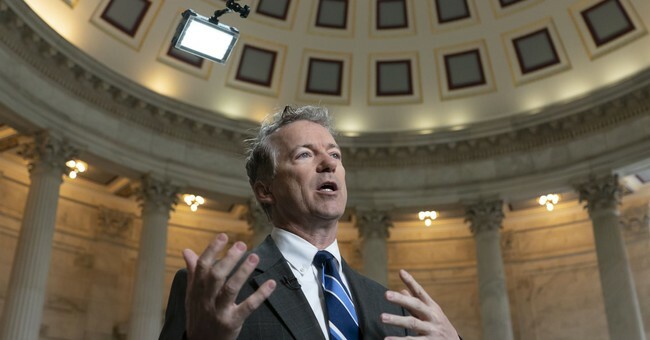 Sen. Rand Paul (R- KY.) said that Monday’s Trump-Putin Summit is not about Russian accountability for cyber-hacking and election interference. "I think really we mistake our response if we think it's about accountability from the Russians," said Sen. Paul when he appeared on CNN's State of the Union reported CNS News. “They are another country. They are going to spy on us. The do spy on us. They are going to interfere in our elections. We also do the same. Doug Levin at Carnegie Mellon studied this over about a 50-year period in the last century and found 81 times that the U.S. interfered in other country's elections. So we all do it. What we need to do is make sure our electoral process is protected. And I think because this has gotten partisan and it's all about partisan politics, we've forgotten that really the most important thing is the integrity of our election,” Paul told Tapper. Jake Tapper, host of CNN’s State of the Union asked Sen. Paul if President Trump should ask Putin to extradite the 12 Russian military who were indicted on Friday on suspicions of attacking the DNC as well as other Democratic organizations. Other indictments included going after Hilary Clinton’s emails and attempting to break into state election boards. "I think we have to protect ourselves. So because we waste time saying Putin needs to admit this and apologize, he's not going to admit that he did it. And we can't take...on face value anything they tell us. We have to assume and if we have proof that they did it, which it sounds like we did, we should now spend our time protecting ourself instead of sort of having this witch hunt on the President. "If the President was involved by all means put the information forward. There's no evidence so far of the President's involvement at all in this. So I think we need to be done with this so we can start actually protecting our elections from foreign countries." Sen. Paul said that while the indictment of the 12 officers is a “good thing”, the Department Of Justice would have gotten to the bottom of the matter without the appointment of the special counsel.